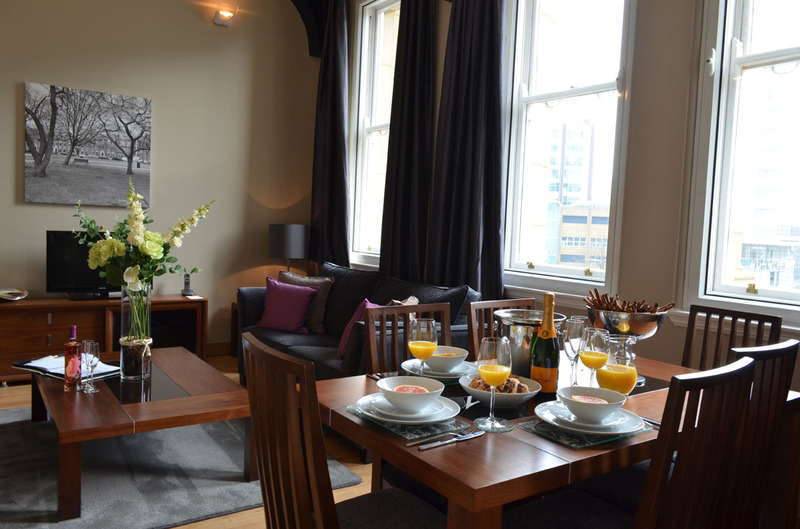 Located in The Old Post Office Building on City Square in the heart of Leeds city centre, Quebecs Luxury Apartments has 23 one and two bedroom luxury serviced apartments available for stays of from one night upwards. 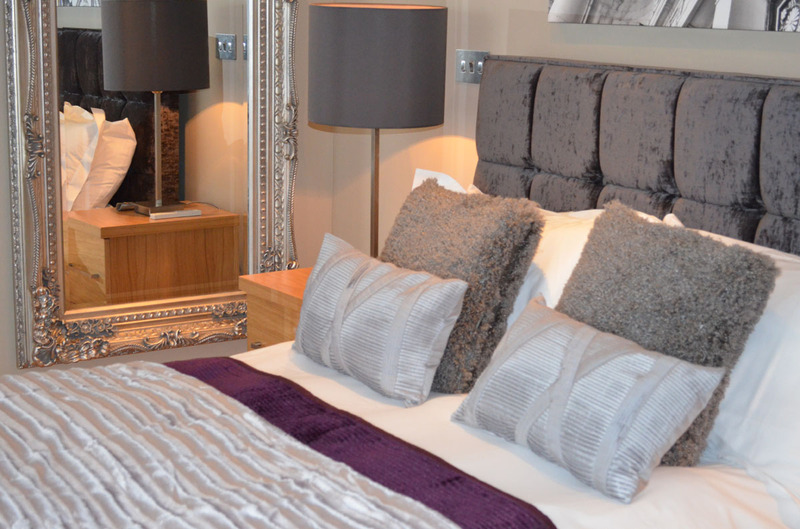 We’ve been the best kept secret in the city centre since opening in 2006 and following a major refurbishment in 2014 are now leading the way once again when it comes to luxury accommodation in Leeds. From a cutting edge business district to luxury fashion brands, superb family attractions, major sporting events and fine cuisine, there is plenty to see and do in Leeds for all the family. 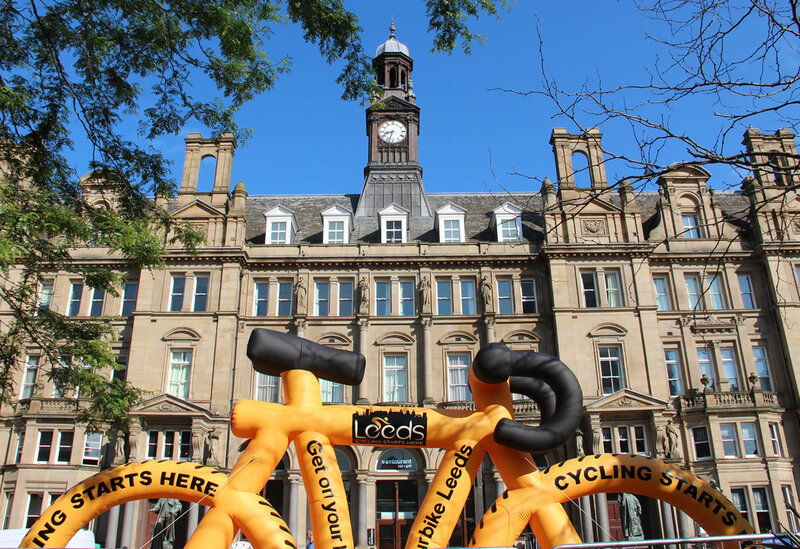 Being situated in the centre of Leeds, guests at Quebecs Luxury Apartments have the diverse range of activities, events and sights right on their doorstep. With great events and new openings happening all the time there is more to do in Leeds than ever before and at Quebecs Luxury Apartments you are in the heart of the action. 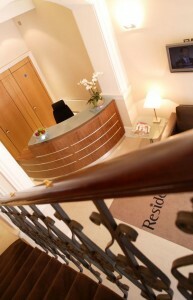 Quebecs Luxury Apartments was the first (and to date only) VisitBritain and Quality in Tourism five-star accommodation in Leeds. Housed in one of this fashionable city’s most recognisable buildings – the Grade II listed Old Post Office – architectural elegance, history, and grandeur is evident even before you enter the building. Our personalised living spaces and award-winning apartments offer the perfect accommodation for you to relax and unwind in. Whether you’re in Leeds on business or leisure, you can enjoy your stay in unrivalled comfort that is designed for your own needs and to make the most of your visit to this fascinating city. Please note that Quebecs Luxury Apartments is a completely no-smoking property and you must be 21 years old to make a booking unless accompanied by an adult. Photographic ID is required for all guests staying at Quebecs Luxury Apartments. Payment must be made by the person staying in the apartment and the card holder must present valid supporting photographic ID on check-in who must also be staying. All our apartments have double beds and there are no single or twin configurations. Whilst we are able to offer a limited number of single extra beds for children under the age of 11 years we regret we are unable to offer extra beds for adults. Please note that the maximum occupancy is 2 adults and up to 2 children under the age of 11 for a One Bedroom Apartment and 4 adults and 1 child under the age of 11 for a Two Bedroom Apartment. Please contact us directly with enquiries for a Two Bedroom Superior Apartment as the configurations differ. A security deposit of £150.00 per apartment is taken as a pre-authorisation upon check in and will only be debited should there be any extra charges accrued or damages incurred. Quebecs Luxury Apartments has a pre-authorisation policy as we are a Grade II listed building and aim to maintain the highest standards for our guests. The pre-authorisation is released back into your account by your bank, however we will provide you with a confirmation slip with all the relevent information on request. Please be aware that we are currently unable to accept American Express or Diners Club cards for the security deposit and must request an alternative method of payment for the pre-authorisation block. We regret we cannot accept stag, hen, party or group bookings. 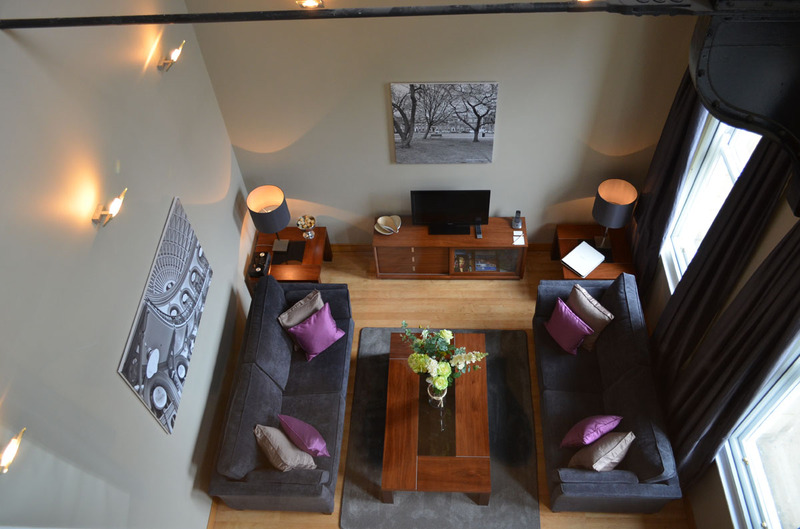 A group booking is classed as 2 apartments or more (either two x one bedroom, two x two bedroom or a combination of both). If you have any questions concerning a specific enquiry please do contact us directly on 01132 856 250 and we will be happy to help. Situated in one of this fashionable city’s most recognisable buildings – the Grade II listed Old Post Office – the architectural elegance, history, and grandeur is evident even before you enter the building. 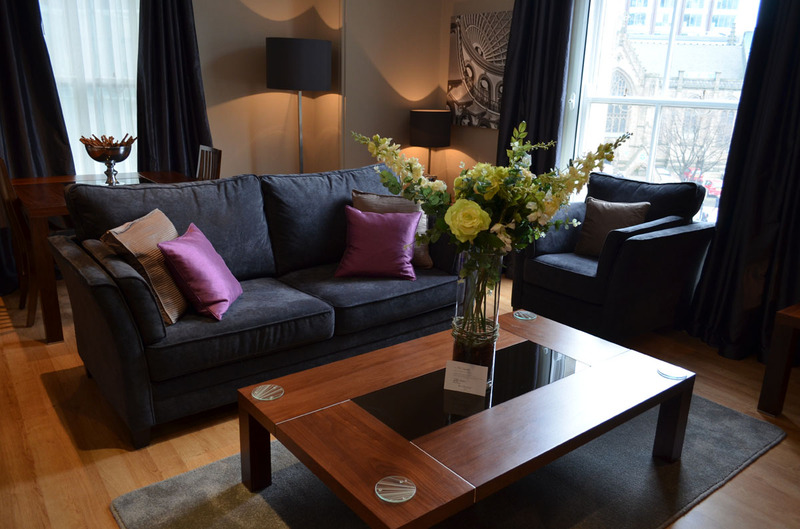 By being in the beating heart of Leeds city centre, guests can enjoy the convenience of city centre living while savouring breathtaking cityscape views. 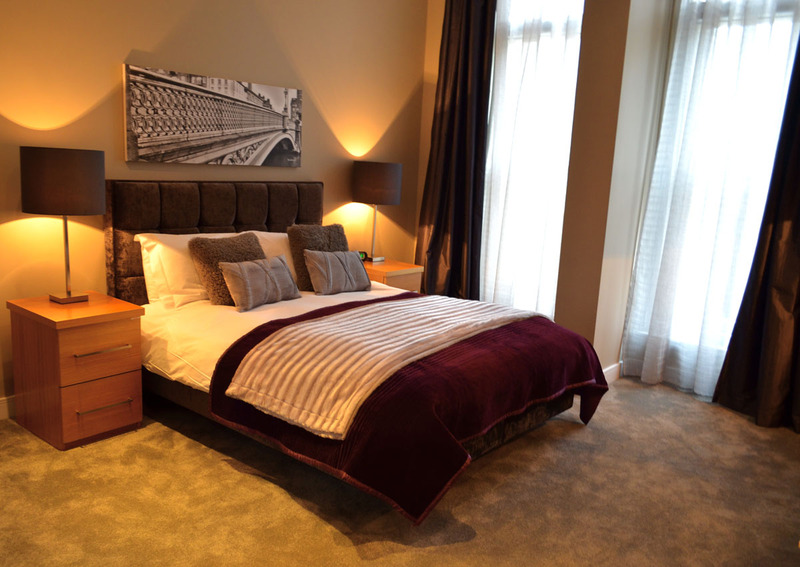 Quebecs Luxury Apartments was the first accommodation in Leeds to receive VisitBritain's 5* accreditation for luxury serviced apartments and also Gold Awards for Quality of Accommodation and Excellence in Customer Service. We have also won Welcome to Yorkshire's prestigious White Rose Award for Serviced Apartments and been a finalist on another two occasions. We value feedback and you can see what past guests have thought on TripAdvisor www.tripadvisor.com and Internet booking sites such as www.booking.com and www.laterooms.com.